Saara Myrene Raappana’s poems have appeared or are forthcoming in 32 Poems, Subtropics, The Gettysburg Review, and Verse Daily. Her reviews have appeared in American Book Review and The Rumpus. She is an editor at Cellpoems, a poetry journal distributed via text message, which won a 2010 Innovations in Reading Prize from the National Book Foundation. 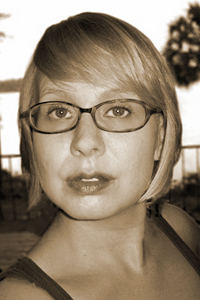 She earned her MFA in poetry from the University of Florida.